I’ve never met a home inspector who didn’t want to be perfect; to never make a mistake or to overlook anything. That’s my goal as well. In my dreams I see every deficiency; nothing escapes detection. Of course it’s an unrealistic goal, everyone makes mistakes occasionally and sometimes things get overlooked. What’s worse than the effect that missing something can have on my ego is the impact that it can have on our client, whether it’s a buyer or a seller. They are the ones to potentially suffer for the mistake. At Florida Property Detectives we won’t let that happen. The best home inspection companies stand by their work and with their clients even after the inspection is done. 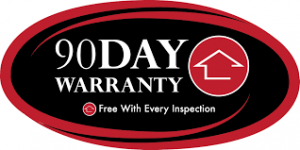 At Florida Property Detectives we do this by offering a free 90-day home warranty with every home inspection we perform on behalf of a home buyer and a free 120-day home warranty with every pre-listing home inspection we perform on behalf of a home seller. Here’s how it works: If we say in the home inspection report that the item is defective or that it’s not functioning as it should, then it’s not covered under the warranty. These are items that the buyer and the seller would have to agree about repairing or replacing. If, on the other hand, we indicate that an item is functioning well, or we just don’t mention it at all, then it’s covered. These are the items that nobody knows aren’t working well until they’re discovered at some point after the inspection. Traditionally the new owner is just out of luck and stuck with the cost of the repair or replacement, but not anymore. No deductibles, no hassles, claims paid out within 72 hours. This is the ultimate value in home warranties. It’s perfect for home buyers because in essence it becomes a 90-day inspection for them. Giving them time to test everything in the home; time to run the dishwasher 20 times, time to turn the HVAC system to 80 on a cold winter day or 60 in the middle of summer; time to see how it all functions. It’s also a great idea for home sellers because it makes their home stand out from the others on the market. It gives potential buyers peace-of-mind knowing that they have coverage if anything in their new home fails. It makes the home more desirable which means less time on the market and a higher sales price. Don’t settle for a home inspection company that doesn’t stand by their work. Don’t settle for a home inspection company that doesn’t stand with their customers even after the inspection is done. At Florida Property Detectives we give you incredible quality and value. We’ll inspect your home like it’s our own. And if you’re buying we’ll be there for you throughout the transition to your new home. 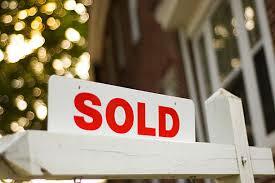 If you’re selling your home, we’ll work with you to make it as marketable as possible. Whether you’re buying or selling, you’ll definitely want to take advantage of our free home warranties.